Other-worldly grace surrounds Delilah, swimming in sateen satin and tulle. 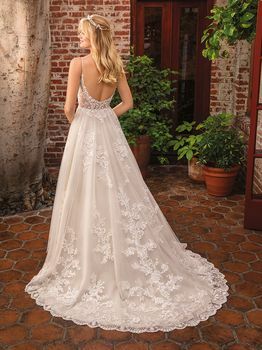 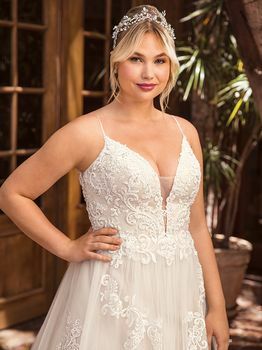 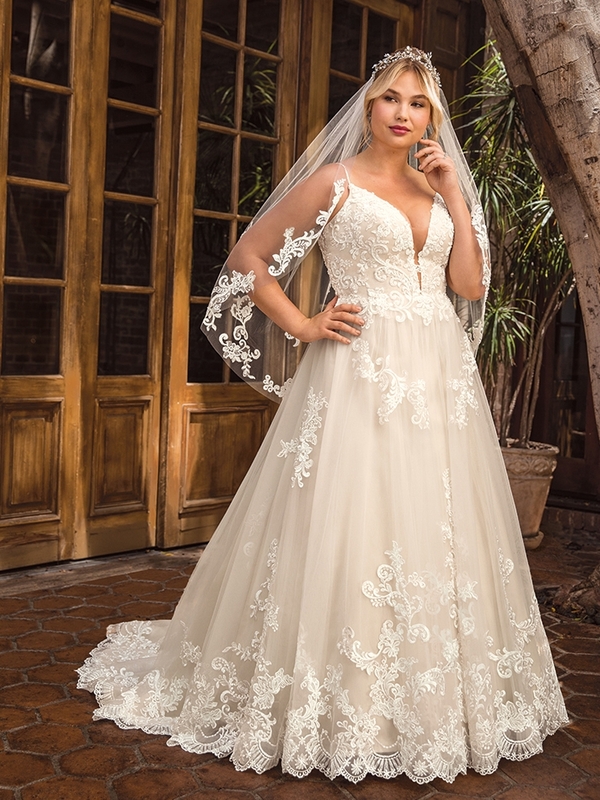 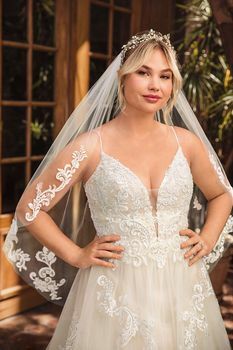 Lace appliques cover the bodice and cascade down the flowing skirt of this bohemian wedding gown from Beloved by Casablanca Bridal. 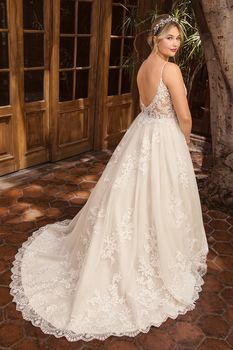 Spaghetti straps and a plunging neckline add a seductive touch, transitioning into an alluring illusion lace back. 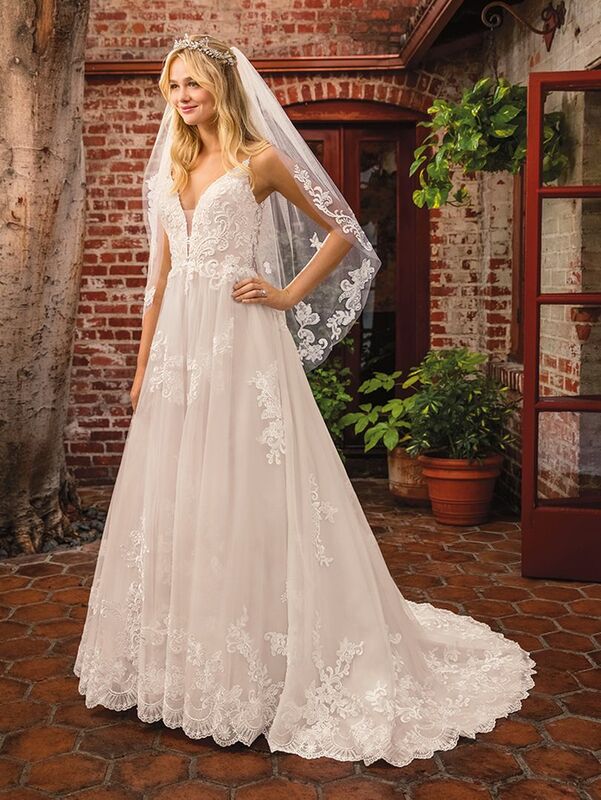 Subtle silver beading catches the light, while a matching veil finishes off this modern boho gown with a glimmer!